Her Majesty Queen Elizabeth II and Prince Philip are the first monarch and consort in British history to celebrate 70 years of marriage. 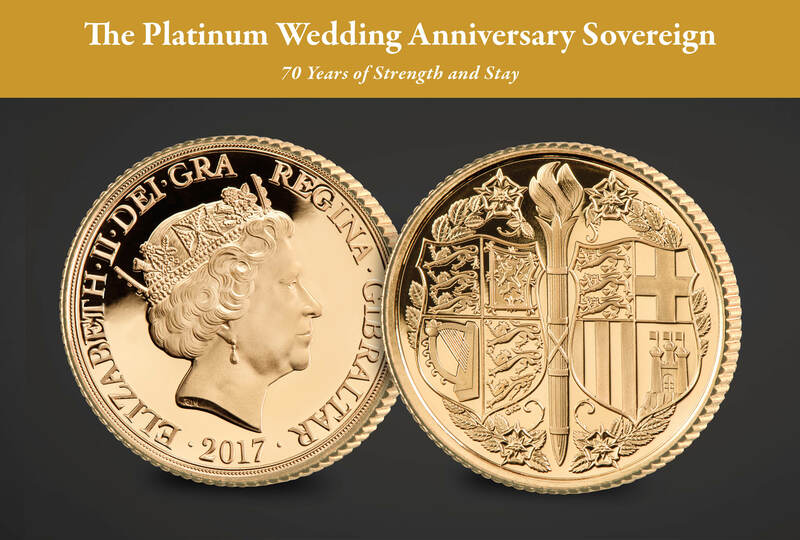 To celebrate this historic royal occasion, a new stunning new sovereign was struck in London on November 20th 2017 by Royal commentator and media celebrity Jennie Bond. Due to the great care with which proof sovereigns are prepared and struck, only a very limited number can ever be struck on the day. So we encourage you to act quickly to secure this very special commemorative. Your sovereign will be accompanied by a Certificate of Provenance hand-signed by Jennie Bond.